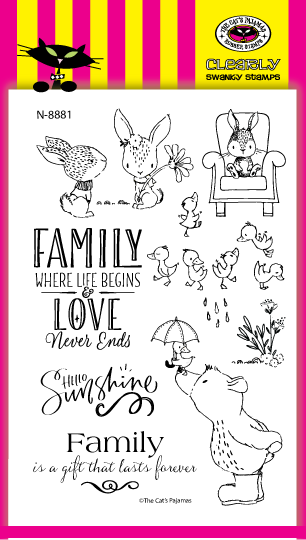 It's time for the new release and blog hop for The Cat's Pajamas stamps! Weren't those sneak peeks this past week fabulous? The Kitty Cat Pack did a great job showcasing all the great sets and Cut Ups. For my first card, I decided to do a little water coloring because, well, this set of Family Forever just screams to be watercolored! :) I just adore this set as it is so sweet and can be used for so many things from a new baby to just thinking about you. You can really find some great ways to use this set. I used a baby blue cardstock base before layering it with the watercolored panel by Tim Holtz. I stamped the images and used my Akashiya Sai watercolor pens to color it in. The sentiment was stamped at the top and finished with a few rhinestones. For my second card, I went a little bit outside the box. Ok, I went a lot outside the box. 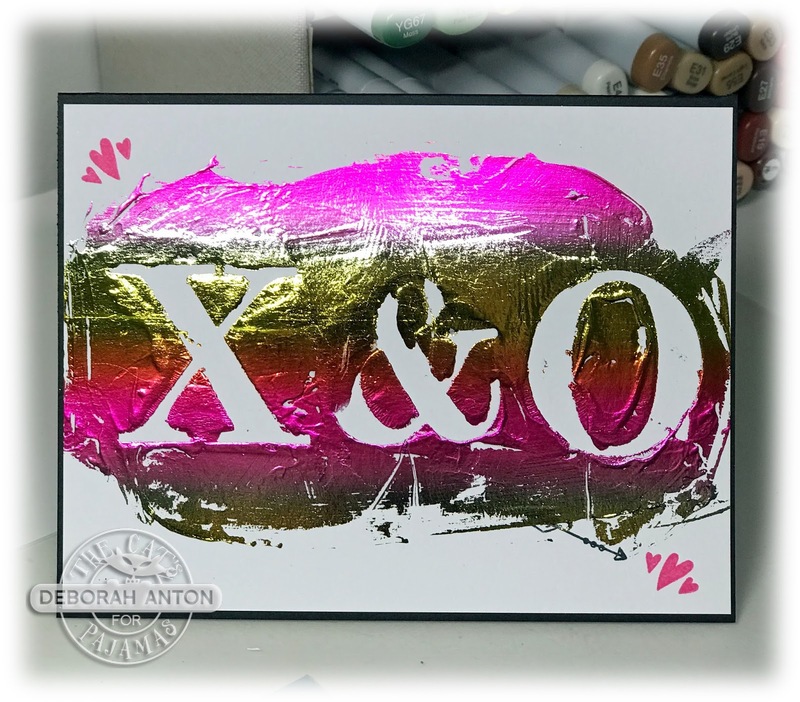 Using the new XO Cut Ups, I adhered them temporarily to the card base and then smearing some Deco Foil paste over it. I dried a little bit of it before I pulled off the cut outs and dried it some more. Then I placed some Deco Foil over it and ran it through my laminator. I really liked how it turned out giving it a grungy look with a lot of shine. I kept the look simple and only added some hearts from the Big Family Words set. Are you IN IT TO WIN IT? Be sure to continue hopping through and leaving a little love along the way for your chance to win a TCP Gift Certificate! The blog hop line up is below. Thanks for stopping by and hope you have a great week! Oh! I love the texture and the shine and the colors! Wonderful! Gorgeous color and love the duckies! Great use of color and shine on the the XO card and an adorable sweet scene with the ducks. Thank you for all your great projects for this release. Such sweetness! Watercoloring and this stamp set go so well together! Precious little duckies! Adorable card! 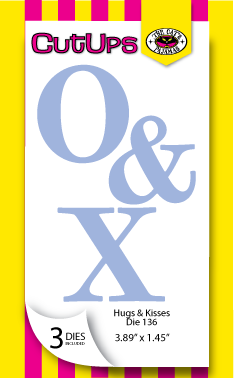 Love the X & O as well! The foiling looks fantastic! 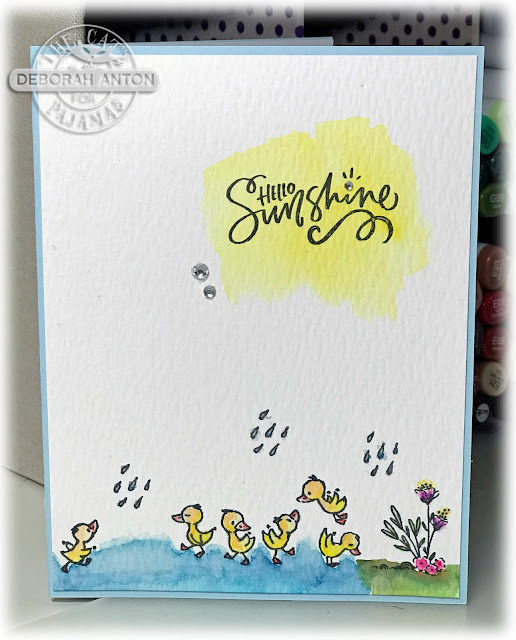 Love the scene you created for the cute ducklings, and the X&O dies look awesome! Great cards! The duckling card is adorable! That X & O card is fabulous! Love the texture and foil! Oh I love your watercolored sun and puddle! Super sweet card! Such awesome cards! The ducks are so sweet on the first card!